Save on the latest fashion trends with this deal now on. There's always a saving to be found on the ASOS.  Take advantage big saving of up to 70% in the ASOS clearance. Get huge reductions on a show-stopping selection of latest big brand styles. Choose from either packs of 5, 3 or 2 on either tops, joggers, socks, pants, and trousers to give your wardrobe a boost. Check out the latest and most popular trends with this bestsellers list. These gift vouchers are the easiest way to win at presents. Simply choose a design, top it up with an amount of your choice, drop in a message and it will go straight into the lucky person's inbox. Sign up to Premier Delivery for only £9.95 receive unlimited next-day delivery for a whole year. Cut-off times and dates and postcode restrictions may apply. Cut-off times may change during busy periods (see estimated delivery times at checkout). Changed your mind or simply not what you were looking for? Then don't worry as you can return your items free of charge with this online store. For cutting-edge fashion that won't break the bank, head to ASOS. Online shopping was taken to a whole new level when fashion game-changer, ASOS, disrupted the market. Ensure you look hip, hop and happening at all times, and do it for less with one of our ASOS promo codes. Its extensive range of online treats offers something for everyone, with womenswear, menswear, children's clothes, homeware and more. A force to be reckoned with within the fashion industry, you can find the hottest clothing brands alongside all the makeup, accessories and footwear to complete the look. ASOS offers regular savings on big brands which means you can rejuvenate your wardrobe for less. Throw in one of our voucher codes to make the most of the already-impressive prices. What Else Does ASOS Offer?  Students get 10% off on ASOS all year round, and occasionally 20% off when it runs special promotions – so if you're a student, be sure to redeem your discount and get your goods for less. The Premier Delivery offering from ASOS will be music to the savvy online shopper's ears. For just £9.95, you get next day delivery (if you place an order before 10pm) for a whole year. That's right - you could be rocking your new threads less than 24 hours from purchase. Don't forget to browse our latest ASOS voucher codes to save even more on your fancy fashion picks. If you're struggling to figure out how to style the new item you're swooning over, then the ASOS inspiration pages will be your new fashion bible. Offering a plethora of on-trend tips and style guidance, you'll be shown exactly how to put your best foot forward. ASOS also stocks a host of well-known high street brands, allowing you to browse a significant chunk of the high street in one go, providing a seamless shopping journey. From River Island to New Look, MAC to Nike, ASOS truly does have it all – with the added bonus of ASOS discount codes available to make your shopping spree even sweeter.